TSG Helpdesk services is a fully outsourced I.T. department for your company. We have a team of I.T. professionals providing remote and on-site services as needed to provide a total I.T. solution for your organization. Our helpdesk team is available to address your I.T. problems promptly and keep you apprised when the issue is resolved or has been escalated. If your issue cannot be resolved remotely, TSG will dispatch an on-site engineer to resolve the problem. For many organizations, budgeting for I.T. is a daunting task. TSG Helpdesk takes away the unpredictability out of I.T. support costs by providing a consistent monthly cost for all your I.T. maintenance. 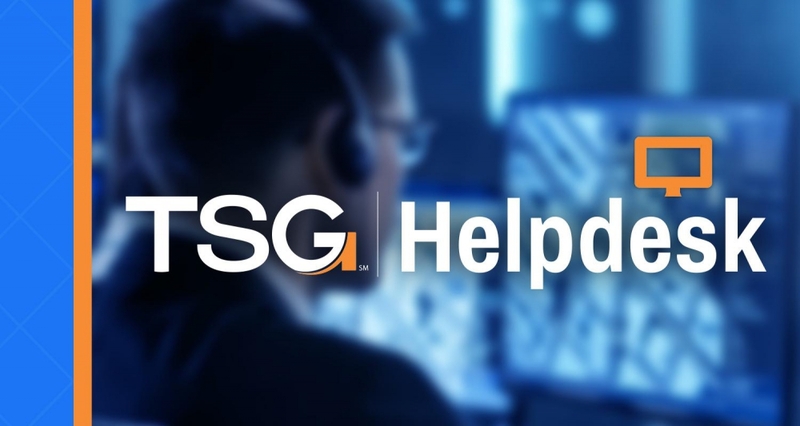 Please contact TSG for a discussion on how our TSG Helpdesk can be your I.T. team.